Considered one of the greatest Italian songwriters of the 20th Century for his ability to reach the primal core of emotional matters, Battisti is held in the same regard in Italy as John Lennon is in the English speaking world. Aided instrumentally by members of PFM (progressive Italian rockers named oddly enough for a bakery) and guitarist Alberto Radius of Formula Tre, Lucio Battisti sent a hard linedrive to left field with this risk-taking 1971 album. 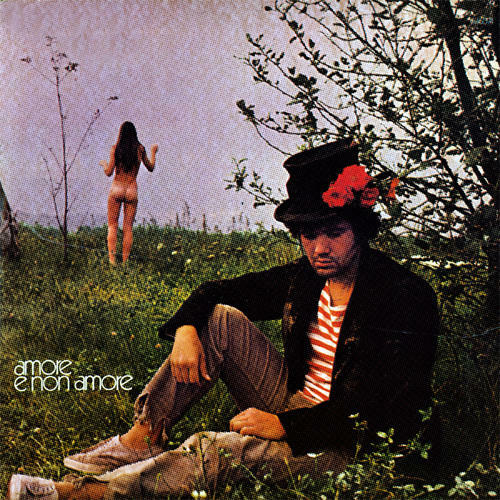 With untypically long song titles and unusual instrumentation and arrangement Battisti creates a cult masterpiece with "Amore e non Amore."